Posted in General and tagged buitengracht, city on Friday, 29 March, 2013 by Paul. Cape Town is changing and looks different. I don’t recognise the building on the left? It’s the Metropolis building Pauline – filled with apartments. The Fireman’s Arms is right next to it, to the right of the building in this photo. 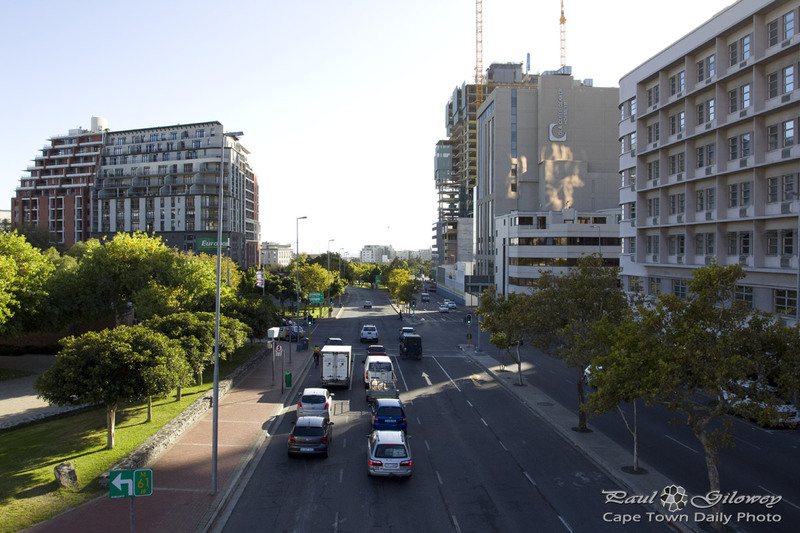 I think it is almost 10 years since I lived in Cape Town and the perspectives of the buildings keep changing although some are still highly recognisable. I have gone back on trips often but you see it differently when you visit. I am always shocked by the number of new buildings and business parks that have sprung up and new roads. The essence of the place remains the same, but I have changed and so has the place that I left behind. When you live there I don’t think its as stark because it grows and shifts and changes around you and becomes the background to your life.